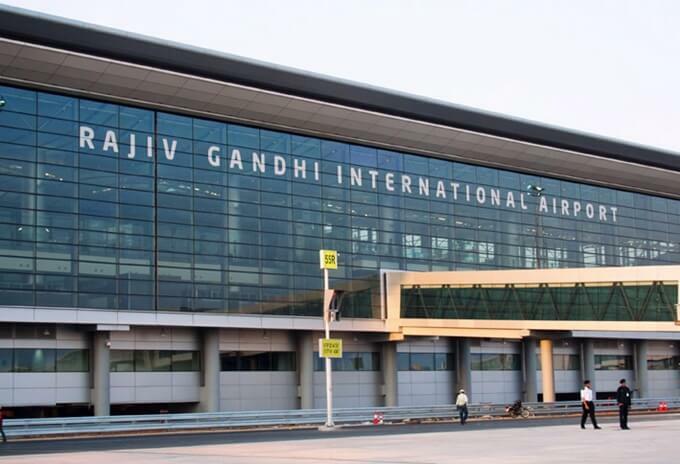 Unlike Atlanta’s Hartsfield–Jackson International Airport, Hyderabad’s Rajiv Gandhi International Airport may not be the busiest in the world. Hyderabad RGI Airport is neither one of the biggest airports in the world nor among those which operate the highest number of international flights a day or receive the largest volume of annual passenger traffic. However, Hyderabad International Airport was given the first position and declared the world’s best in the Airport Service Quality (ASQ) survey on several parameters, early in 2017. The survey was conducted by Airports Council International (ACI), headquartered at Montreal, Canada. Having good air connectivity with the United States via the Middle East and the southeast countries in the Asia Pacific region, Rajiv Gandhi International Airport (HYD) handles over 400 flights daily and 17 million passengers annually. The existing runway and terminal are efficient for up to 25 million passengers per annum. With Indian Eagle Travel booking an increasing number of cheap flights to Hyderabad from USA, Rajiv Gandhi Airport is at an ever-growing stage. Another terminal and a second runway have become inevitable needs in view of the airport’s phenomenal growth. Among the major developments of Hyderabad RGI Airport in 2017 is its connectivity with Washington Dulles International Airport (IAD) in the USA. Air India started operating three weekly flights from Washington to Hyderabad via Delhi in July 2017. Chicago was the first US city to be connected with Hyderabad. The US is a thriving market for flights to and from Hyderabad serving over 675,000 passengers per year. Cheap flights tickets from Chicago to Hyderabad, and cheap fare deals for Washington to Hyderabad flights are available at Indian Eagle. Hyderabad International Airport is known for its traveler-friendly infrastructure. Recently, the airport got a wheelchair lift for the convenience of people with reduced mobility (PRM) and senior citizens under the ‘Passenger is Prime’ program. It is the first Indian airport to be equipped with PRM facilities like wheelchair lift or verti-lift in compliance with safety norms. The electrically powered wheelchair lift takes 2 minutes for a wheel-bound passenger to move up from the gate to the baggage claim area. The lift can be operated by a remote control and is provided backup power for uninterrupted operations. The smart check-in facility at Hyderabad airport is fantastic. Entry – security check – boarding gates in under 2 mins. ??? Rajiv Gandhi International Airport launched India’s first ‘Express Security Check’ facility for domestic passengers without check-in baggage. The ‘Express Security Check’ facility at Hyderabad RGI Airport has made check-in faster and easier for hand-baggage-only passengers. It benefits over 40% of total domestic passengers including business travelers during peak hours of the day and curbs congestion in check-in areas. Hyderabad Airport’s Express Security Check is part of the ‘Passenger is Prime’ program. Committed to achieving 100% carbon neutrality, RGIA received the Carbon Neutrality Certificate from Airports Council International. Currently the airport boasts of level 3+ neutrality under its Carbon Accreditation program. Switching to LED from conventional lighting is one of the deliberate efforts that Hyderabad Airport made to curb carbon emissions significantly and achieve carbon neutrality. Nearly 20,000 out of over 26,000 conventional lights have been converted to LED at RGI airport, which has made it possible to save 2.2 Million units of electricity per annum. 11 international airlines including major gulf carriers connect Hyderabad with more than 35 destinations across the world. Etihad Airways, Emirates Airlines, Qatar Airways and Air India operate cheap flights to Hyderabad RGI Airport from US cities including Atlanta, Houston, Austin, New York, Dallas, Los Angeles, Chicago and Seattle. Qatar Airways’ Atlanta (ATL) to Hyderabad (HYD) cheap flights in business and economy class, are exclusively available at Indian Eagle. Hyderabad RGI Airport is all set to facilitate paperless travel by means of biometric identification of passengers. Recently, a pilot program was successfully conducted with biometric scanners at Hyderabad International Airport. E-boarding facility is already in place. RGIA is likely to become the hub airport for South and Central India in the next 5 to 10 years. Furthermore, 15 cities have been identified for the “Fly via Hyderabad” campaign which is aimed at making Rajiv Gandhi Airport is a big transit hub. The proposal to link Hyderabad Metro Rail with RGIA is currently under review. The airport will be able to handle an annual traffic of 50 million passengers in the third phase (up on completion).